It's A Hoot That Most Training Is Done Online. However, Most People Howl At Online Learning. Online training, especially over the last 15+ years, has overtaken the landscape of training and learning development. Due to the speed of construction, massive scale, and ability to reach learners anywhere and at anytime, this learning approach is most commonly used. Whether it is for general training sessions or specific tasks that one may need to complete full of demos and interactive activities, Document Doctors, LLC can assist with these course developments. 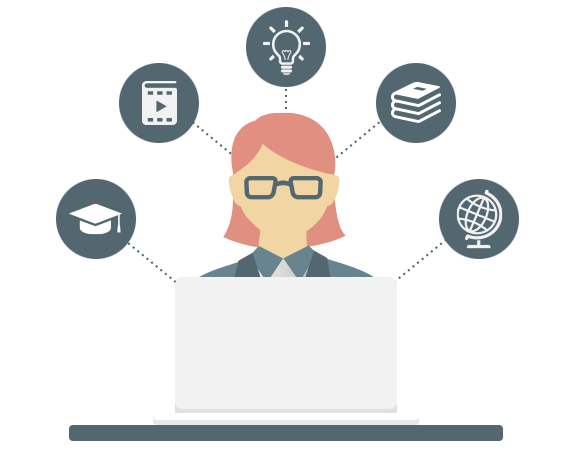 We use a number of different software platforms and online course builders to fit every need and budget regardless if the content is developed for in-person or online learning experiences. Fun Fact: Did you know that on average, it takes more than 40 labor hours or more of work to create one (1) hour of online instruction? Wow! ​Most people that creating online course content only takes a few clicks, cutting, and pasting of text and then hitting a button to publish. It is far from the truth in order to maximize learning opportunities for subject retention and application. Hard-copied samples of documents (e.g. storyboards, course outlines, scripting, & the like) are available upon request and are built into pricing agreed upon.